Why is a module path better than a class path? So now instead Dependency List as with Classpath, we have a Module Dependency Graph which is Directed Graph on Dependencies. 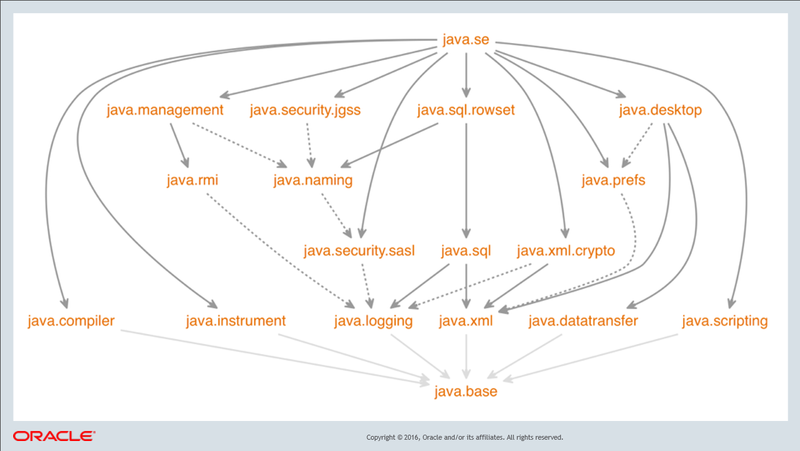 Following is the Dependency Graph for java.se module which is the Entire JVM Utilities available out of the box. 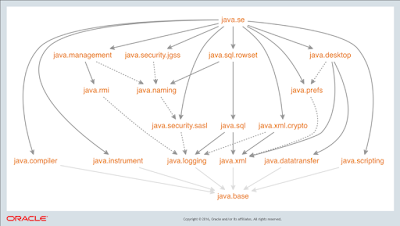 Breaking a single rt.jar into modules which can be defined in the graph shown above was the reason why Java 9 release took longer than other Java releases. It must have been very difficult task for the Engineering team and hats off to them. So what about Backward Compatibility?? This sort of behavior allows Java code to incrementally modularized when and if required.